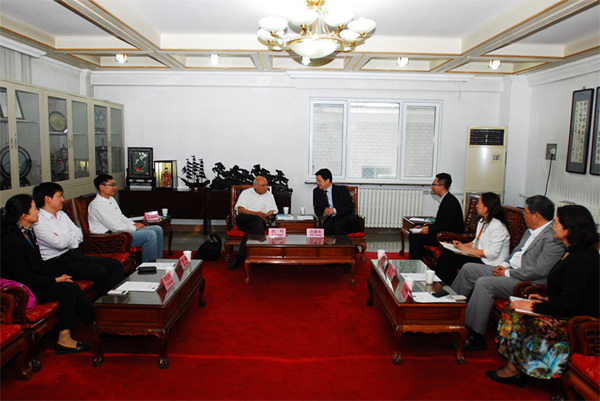 President QIAO Jianyong Met With P.R.Kumar, academician of Texas A&M University, USA. 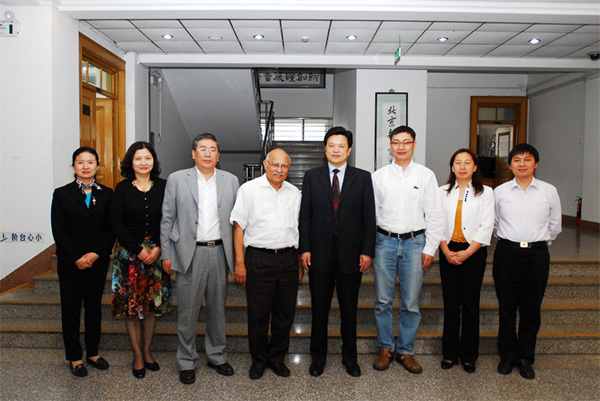 On the afternoon of May the 9th, our President QIAO met with P.R.Kumar, Academician of Texas A&M University; Professor CUI Shuguang from Texas A&M University also joined the meeting. President QIAO, on behalf of BUPT, expressed his heartfelt welcome to P.R.Kumar, and made a brief introduction to BUPT and Professor Kumar spoke highly of the achievements made in BUPT. Owning to the fact that both universities share many similarities in the field of information and communication engineering, by this chance, we would like to strengthen our cooperation in the field of scientific research. Professor Kumar is a leading expert in the areas of Information Theory, Information and Communication Theory as well as Control Theory, and he enjoys great reputation across the whole world. 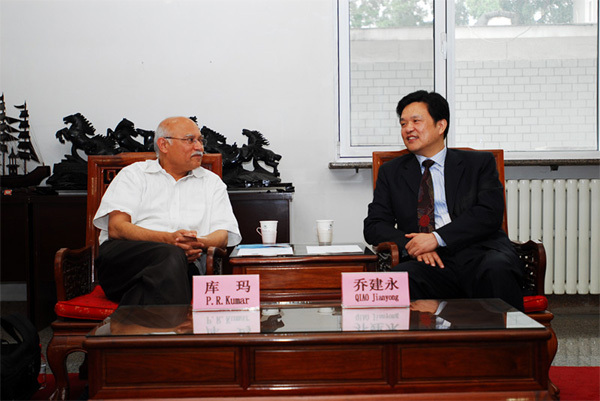 President QIAO sincerely made an invitation to Professor Kumar to come to BUPT in the future for more lectures for the students. Besides this, both parties also conducted in-depth discussion in the areas of education module and talents cultivation. BUPT Assistant to President and Director of General Office, XIN Lingling, Director of International Office, REN Chunxia, Director of State Key Lab of Networking and Switching, ZHANG Ping, Deputy-Director of State Key Lab of Networking and Switching, SU Sen and Deputy- Director of State Key Lab of Networking and Switching, LIU Baoling also joined the meeting.